Abuse. It’s an ugly word. It’s a sweep-under-the-rug kind of word. It’s not a word that dozens of people get together to write about. It’s not the sort of word that books are written about and podcasts recorded on. But we’re doing that anyway. Because we realize that child abuse isn’t something that only happens in other people’s families. And we understand that it’s easier to want to assume that it does because it’s how you feel safe at night. But we want to share a better way. 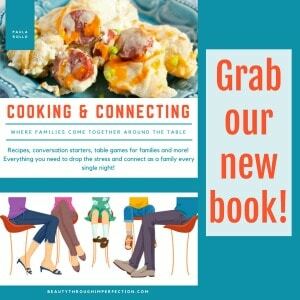 End it before it starts is a group of bloggers coming together to tackle these tough topics. Some will share stories of surviving abuse. Others will share tips on how to educate your kids about abuse even little ones. We’ll talk about the signs that even the BEST parents sometimes overlook. We’ll learn together, and grow together and heal together. So that we can each sleep a little better at night, knowing that abuse isn’t something we’re hiding from anymore. It’s something we’re educated about, and something that we’re actively preventing in our lives and the lives of those around us. Will you join us for Child Abuse Prevention month? You might be wondering what you can do… It’s simple really. Share the posts that you see on this topic. Be willing to start tough conversations on social media, with your kids and with other parents. 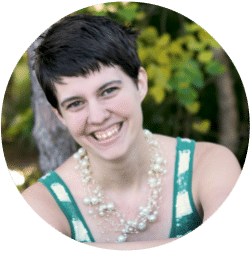 I’ll be updating this page throughout the month with the latest posts from bloggers and resources that can help you along the way. Thanks for taking this journey with us. It could truly save a life. You can use this button on your own site by copying the HTML below. 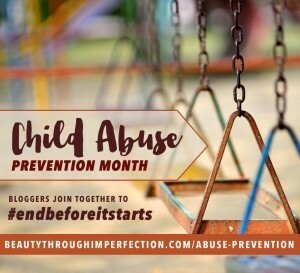 Hey Buddy!, I found this information for you: "Abuse Prevention Month #endbeforeitstarts". 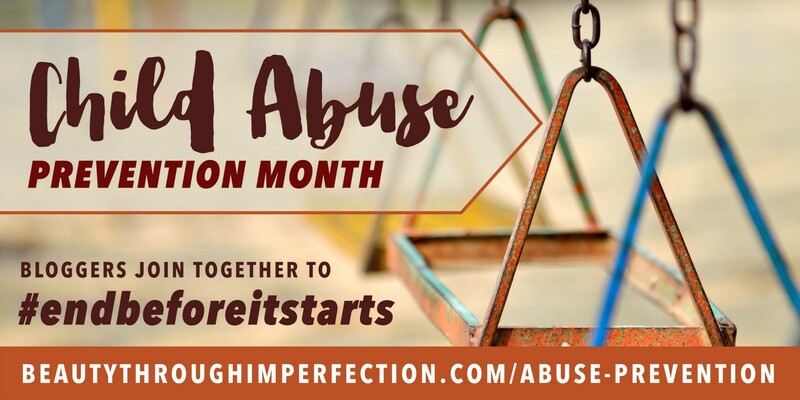 Here is the website link: https://www.beautythroughimperfection.com/abuse-prevention/. Thank you.